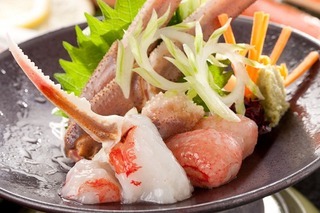 Winter Kaiseki course with crab hot pot and sashimi. 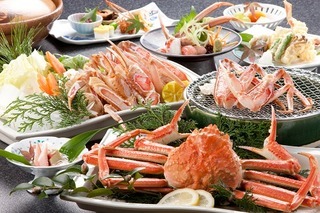 As Kinosaki is located along the Sea of Japan, its seafood is famous especially crab. 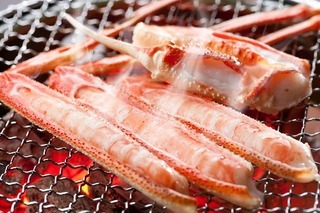 You can enjoy crab in sashimi, boiled, grilled, hot pot and also tempra. It features 2.5 crabs per person. 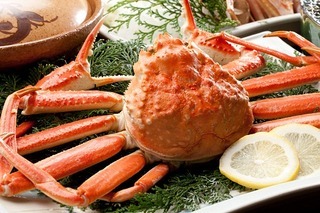 Recommended for crab lovers! 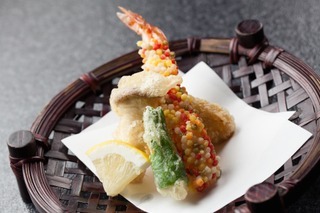 **Menu** -vinegar drink, -crab sashimi, -boiled crab, -crab hot pot, -local vegetables (for hot pot), -grilled crab, -crab tempra, -crab zosui ( rice porridge), -dessert ** Meals will be served at dinning area.